Sugar Daddy Awareness classes, a proven solution to address high teenage HIV and pregnancy rates. The proven sugar daddy awareness intervention that empowers girls, the Sara Communication Initiative (SCI) developed by UNICEF, will be the cornerstone of the pilot training program in Ghana. Within the pilot, Power2Girls will distribute the curriculum in Ghana through localizing and centralizing SCI curriculum with a team of change agents who are personally motivated and have a demonstrated commitment to girls' empowerment. Power2Girls will train the change agents to maximize impact. The organization will connect with schools and grassroots organizations to deliver quality curriculum in classrooms, build a network of future change agents within schools and communities, and provide mentorship via phone, website, the network of change agents, and on-site visits. Change agents will share curriculum with local teachers via USB drives and content will be distributed to girls' phones. Paper copies of the Sara comic book will also be distributed. Distribution ultimately rests with students themselves who can harness the power of mobile technology and social media to spread ideas and influence cultural norms within their own communities and their country. The main goals are to increase awareness of the risks of sugar daddies to 100%, improve girls' confidence to say "no" to cross-generational relationships, and enhance girls' ability to think critically about challenges facing them as well as how current choices can shape the future. 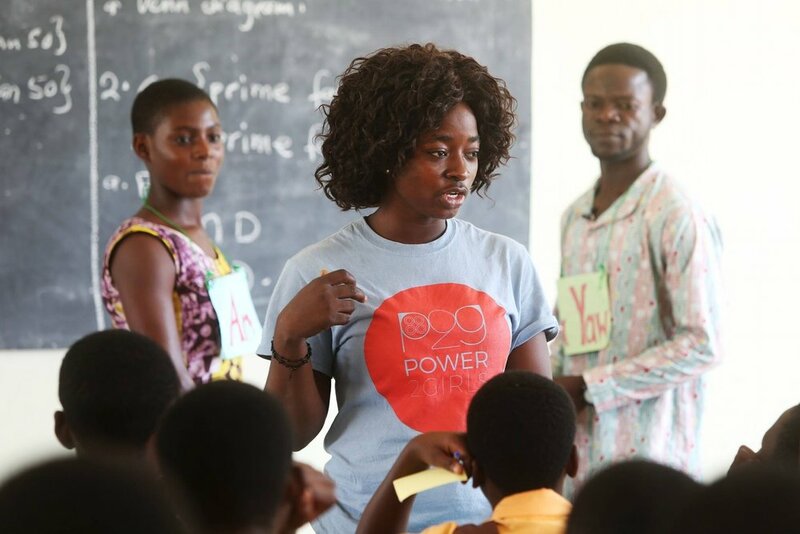 Power2Girls will measure and analyze results through pre- and post-assessments and provide reports for schools to show their students' progress to the Ghana Ministry of Education and the public.